Jerrem’s work has been displayed at events and on streets around the world. 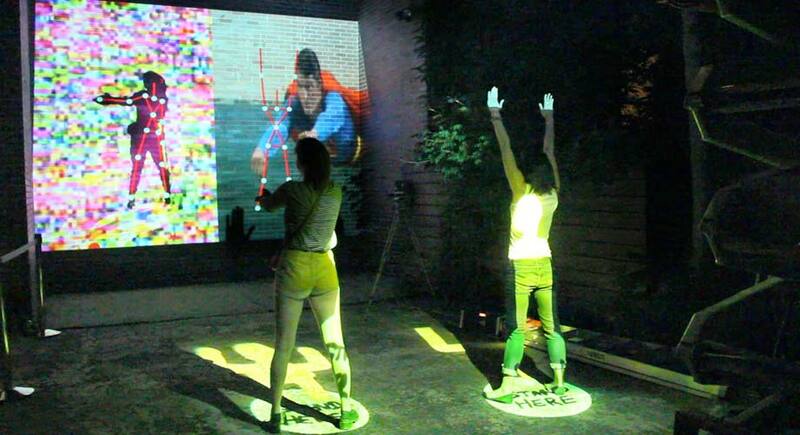 With the use of digital projectors, he designs and creates large-scale projected computer games and displays. He builds customized computer software which is run from laptops and tablets, and displayed through projectors. Jerrem often incorporates digital cameras and similar motion-detection hardware which the computer uses as input. This is used to engage audiences and to drive the graphics and games. 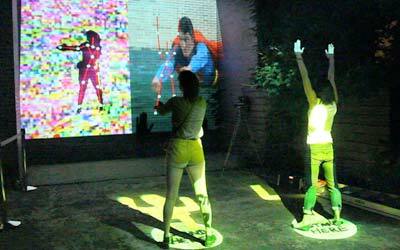 Description: an audience-driven artwork where audiovisual clips are triggered by body poses. 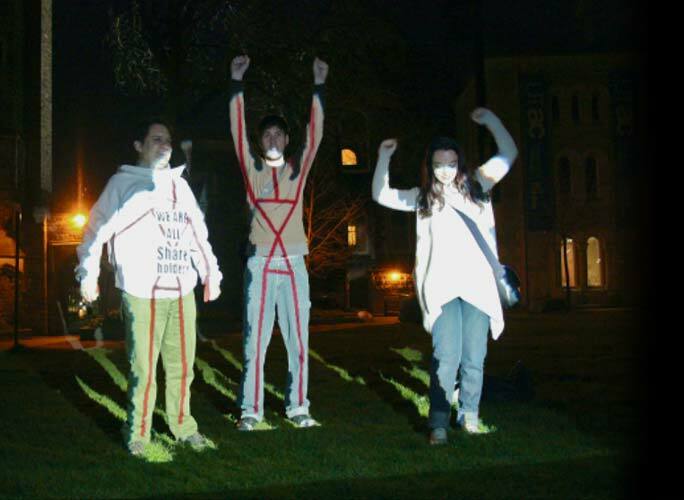 This interactive installation provides for real time full body-detection of two audience members simultaneously. 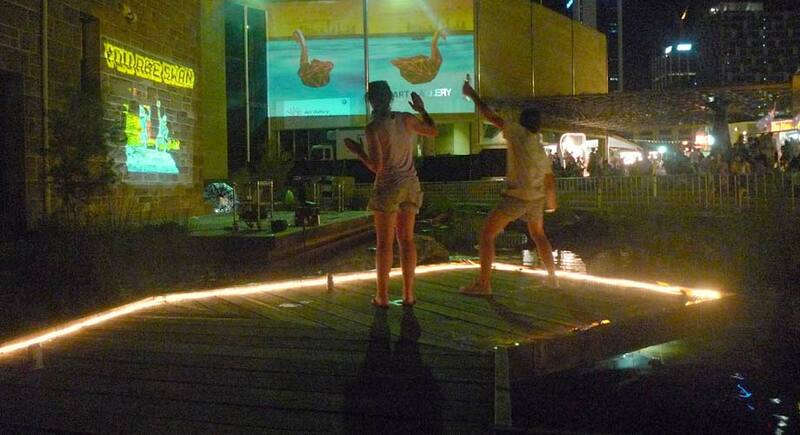 With their bodies transposed side by side into the video artwork, they are able to trigger video clips using particular poses or dancing until a video clip is serendipitously discovered. The audience itself becomes the remote control of this video mashup. Description: an interactive street game designed to give everyone the chance to save the world! 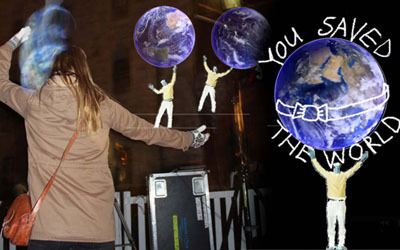 Earth catcher is projected onto buildings and involves a virtual earth that the audience interacts with, with their own bodies. The aim is to hold it steady for ten seconds without letting it fall. Animations introduce each player. Winners are congratulated with happy animations exploding onto the screen. 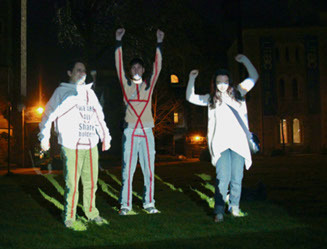 Description: an interactive street game controlled by full body movement. The system runs customized 3D video game software. Competing players use their entire bodies to control the direction of two black swans as they float along a river trying to avoid rocks. The player to travel the furthest, without hitting a rock, wins. Designed for this location, the game takes place above a decorative pond. Collaborators: Steve Berrick, Al McEwen and Dan Moller. 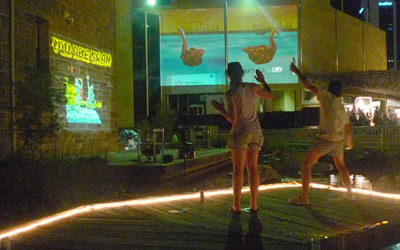 Description: using a hacked Nintendo Wii remote, we transformed the side of a building into a large interactive surface. A paint roller pole was wired with infrared lights to create the input. 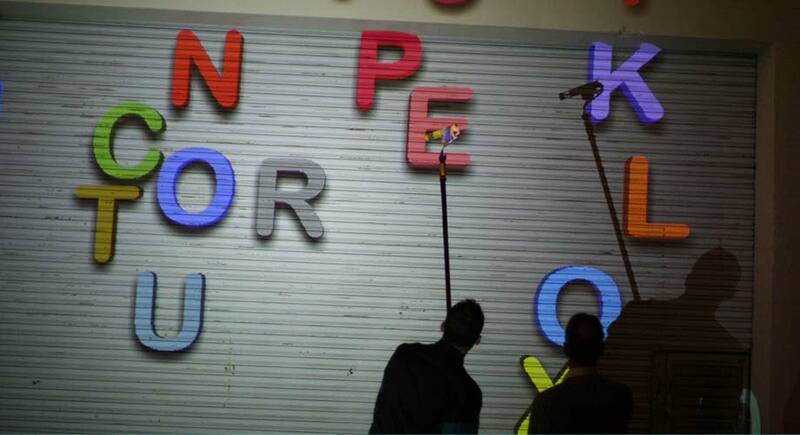 Participants rearranged large virtual fridge magnets to leave messages for passersby.